Franz Gastler and the team at Yuwa have decided to tackle the depressed status of Jharkhand’s women head on. 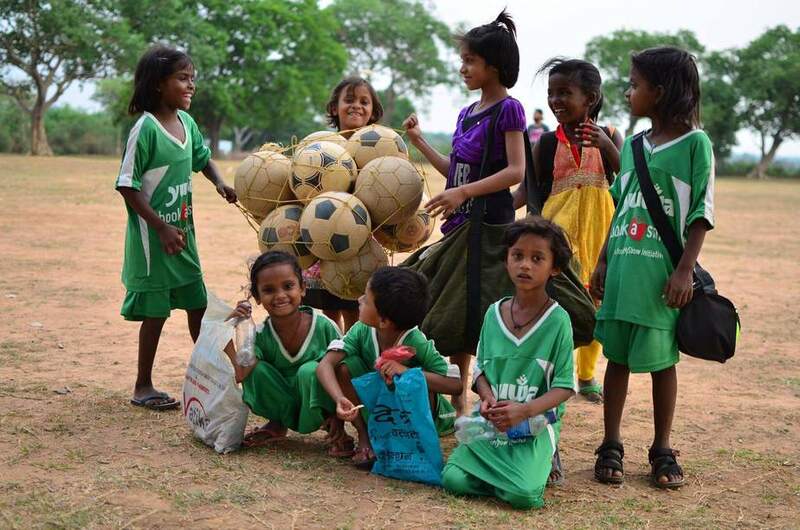 Bypassing more traditional routes of self-help groups or local cooperatives, Yuwa has successfully mixed football and education to empower Jharkhand’s vulnerable female youth. But how has this organisation come to use the beautiful game to improve rural children's present and future? People across Jharkhand are challenging such palpable gender divisions. 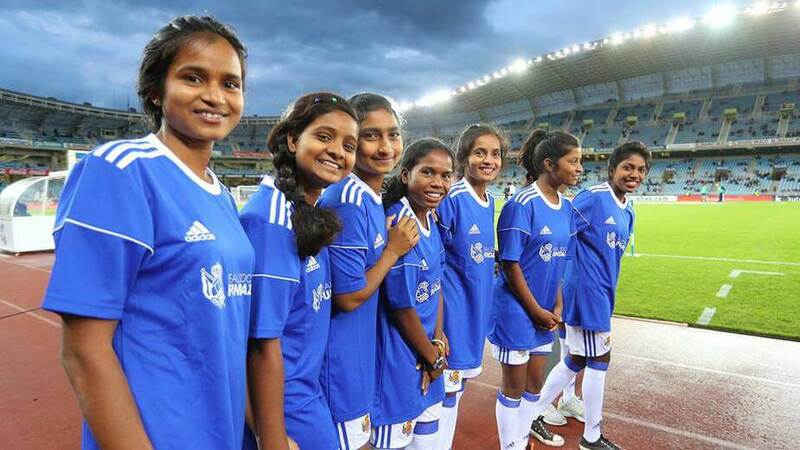 Franz Gastler’s NGO called Yuwa (meaning “youth”) is one such leader in this movement, encouraging young girls to break free from traditional gendered confines through education and football. 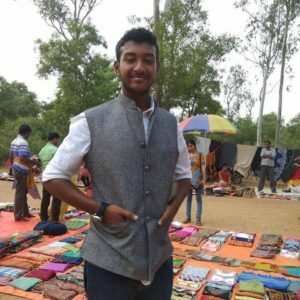 Gastler was an accomplished business consultant before he came to Jharkhand as an English teacher for Krishi Gram Vikas Kendra, a village management non-profit. When he arrived, the gendered disparities struck him immediately. Men roamed free outside the house, lounging and chatting, while women did all the heavy labour. During one of his English lessons, he asked his girl-students what they liked to do for fun. One of them was in love with the idea of playing football, so he told her to gather some of her friends for a game. They found an abandoned field and thus a space for this newfound after-school coaching session. Gastler soon took up permanent residence in Jharkhand and founded Yuwa in 2009. The organisation has since expanded far beyond a handful of girls and their English teacher. Yuwa’s agenda is particularly important to Jharkhand’s context. The state lags behind the country’s average for women’s socio-economic development. While the average literacy rate is at 70.3%, female literacy has stagnated at 55%. Female enrolment ratio in primary and upper primary schools is at 50%. The situation becomes all the more deplorable at the higher education stage, with female enrollment rate touching 7.6%. Education has become a luxury for the women of Jharkhand, and dropout rates across all ages are on the rise. One reason for these figures is the prevalence of child marriage. In two-thirds of Jharkhand’s districts, over half of the girls were married off before they were 18. Marrying girls younger than 15 years is also common; one average, such wives go on to have more than three children in their lifetime. These responsibilities explicitly implies a blanket restriction on higher studies and financial independence. Yuwa got its first boost in 2012 when Rose Thomson (a Walker Fellow from Hendrix College) came on board. Thomson had been studying the potential of sports as a tool for women’s empowerment and coordinated Yuwa’s education program for two years. With the Yuwa School founded in 2015, Thomson also introduced and leads an Ultimate Frisbee project. Yuwa teams regularly compete against other intra-national teams at prestigious Ultimate tournaments. With Thomson’s guidance, the programme went from a simple after-school club to an educational institute. As of now, 90 students are on their way to becoming more empowered citizens. Their inspiring stories often find their way into Thomson’s blog, where the girls narrate their incredible journeys of achieving their dreams, becoming competitive footballers, and making themselves and their families proud. Yuwa now looks into students’ needs beyond just providing coaches. After four months of practice, players are eligible for a subsidy that finances two-thirds of the cost of their sports shoes. After sufficient experience, capable players have the opportunity to join the organisation as coaches for dozens of girls like themselves. Moreover, training isn’t restricted to the field. Coaches conduct life-skills’ workshops for the 300 players currently under the organisation. They act as positive role models and mentors to the young students. Due to their increased visibility amongst the community, plans for another school with a capacity of 1600 players have begun. The complex will house 300 resident students, a computer lab, a library, an amphitheatre and, of course, a football ground. Yuwa is changing mindsets in a state where women rarely have the opportunity to stand on their own feet. Through education and consequent economic independence, the women of Jharkhand are changing societal perceptions of women within a larger socio-economic fabric. Girl children are no longer doomed to be the homemakers of another house or simply manual wage labourers. Yuwa proves that girl children are just as capable of being contributing breadwinners as competitive athletes, coaches, and mentors. 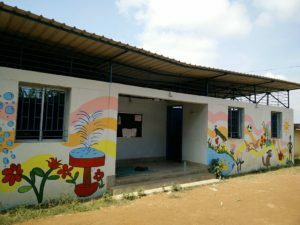 In the pre-Yuwa Jharkhand of 10 years ago, it would have been unthinkable that over 30 women from the state would speak at universities, TEDx events, and conferences internationally. The sky’s the limit when Yuwa women put on their cleats. Besides combatting gendered social stigmas, Yuwa also enables players to help bring their families out of poverty. Moreover, participating in sports increases their self-esteem, emotional regulation, problem-solving, goal attainment, social skills, and academic performance. All this allows them a newfound confidence in making decisions regarding their own lives. Yuwa has even fostered some breakout stars. In 2011, one of Yuwa’s foremost performers Puspa Toppo made it to the national U-14 girls’ team. Ever since her peers have been making waves in the competitive spheres of football. The Yuwa team came into the limelight in 2013 by bagging the bronze medal at the Gasteiz Cup in Spain. Former Yuwa student Seema now coaches a team of 7-10-year-old girls, after having attended a coaches’ training program at Real Sociedad in Spain and completed the British Council Premier Skills coaching program. She is one of India’s youngest D-License coaches. Lucknow-based Project Khel also uses sports training for thousands of children to develop life-skills, spread awareness about menstrual health, and combat child sexual abuse. The Salaam Bombay Foundation works with children in Mumbai’s slums, where 9 in 10 children drop out of school and are faced with child labour and substance abuse. The organisation provides support through sports and arts to develop leadership skills and employability. Such organisations are a testament to the fact that working with underprivileged children is not only a necessity but is very doable. Yet, expansions require resources. 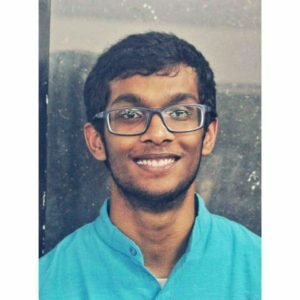 Yuwa initially supported itself with Gastler and three of his friends pooling in their own funds, in addition to a minimal fee from the students. Now, most funding comes from donations by companies like Viber or crowdfunded on platforms like Ketto. The road ahead hinges on collaborations with corporations and the government; advertising and a heightened visibility are crucial for increasing donations. Perhaps the coming years will see Yuwa extend their influence to rural areas across the country, re-invigorating India’s conception of rural education altogether.